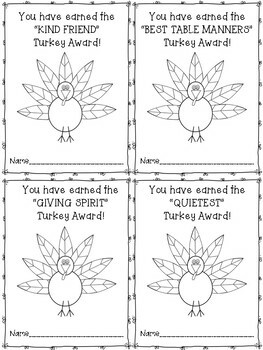 These adorable turkey awards are a great way to motivate students. 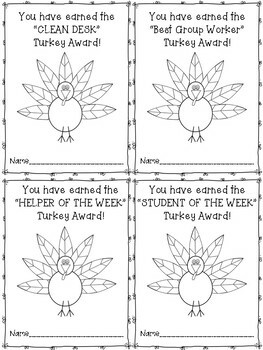 There are 20 cut apart awards (4 per page) for Accelerated Reader, Reader of the Week, Math, Spelling, Art, Table Manners, Writing, and more! 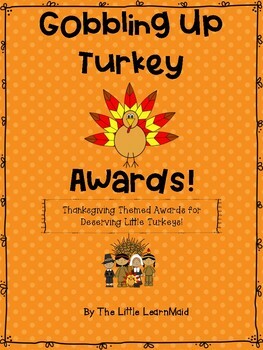 I have also included a fill-in-the-blank awards page. 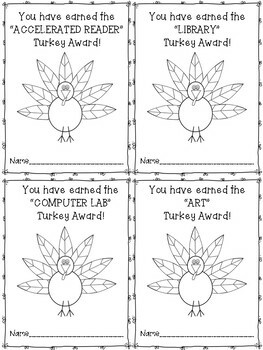 Students will love coloring the turkey awards!